Cooden Beach Golf Club welcomes you to our Clubhouse. While the Clubhouse dates back to 1912, from the western elevation the structure today still bears a remarkable resemblance to the beauty of the original traditional building. 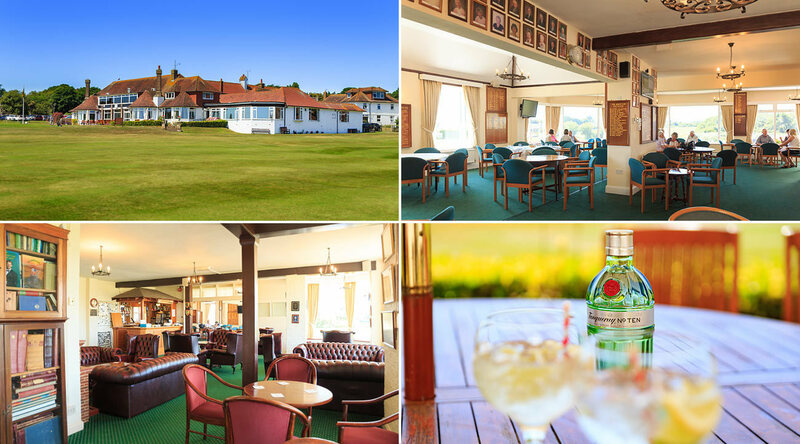 Currently though, following much careful and sensitive alteration, the Clubhouse now offers completely modernised changing and showering facilities for both men and ladies, a choice of two lounges where refreshments are available throughout the day, and a Snooker Room which houses two full-size tables. For the more sedate of heart, we have a card room to while away the time as well as a sumptuous Dining Room on the first floor affording a stunning panoramic view of the course across to distant Beachy Head. There is also the Herbert Fowler room (not card room) which is for the use of all the members to enjoy. The Clubhouse staff remain proud of their reputation for customer care and attention and their warm welcome is the cornerstone of the Cooden introduction to your day with us. It is indeed the hallmark of the facility overall and nothing is considered too much trouble in affording members and visitors a service that we hope will be remembered with much fondness. Please see click on links below to be directed to our Function Brochure.